Public beaches are seen as particularly risky since it might be difficult for the general public to assist a distressed person. Every year drowning accidents are caused by swimmers unfamiliar with the depth and currents or being too far out to make it back to shore. If there’s an incident it’s important that the proper public rescue equipment is in place. The rescue raft RR3 is essential on beaches where it might be impossible to reach the distressed person with a lifebuoy thrown from land. Read more about our rescue raft here. The rescue hook is also of great importance, to be able to quickly search the water, e.g. under bridges, platforms and diving towers. Thanks to its length and triple hook, it’s easy to get hold of a person under water. It’s easy to sweep and drag larger areas, which can be a matter of life or death in dark and turbid waters. Place rescue hooks and lifebuoys on bridges and platforms to ensure a swift intervention. Read more about our rescue hook here. Public lifesaving equipment should be in place and fully functional even in winter and when the water is covered with ice. 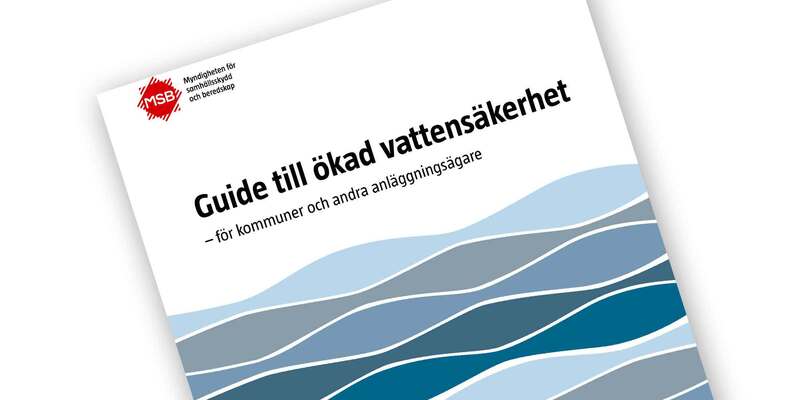 ”Guide to increased water safety” has been composed by the Swedish Civil Protection and Emergency Agency (MSB). It supports municipalities and landowners to meet legal requirements regarding protection against accidents (LSO). Order/download the guide here (in Swedish). 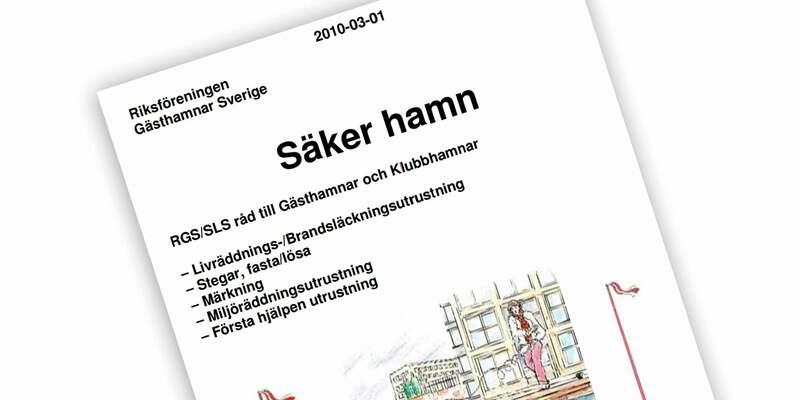 The Swedish Association of Guest Harbours (RGS) have in cooperation with The Swedish Lifesaving Association (SLS) composed the publication ”Safe Harbour” for guest- and leisure harbours. Here you can find concrete advices and tips on how to contribute to a safe harbour. Read/download “Safe Harbour” here (in Swedish). According to Swedish law, a harbour is defined as docks, bridges, piers etc. and to them connected areas that have been set up for anchoring of ships or boats. According to Swedish law, an owner of, or a person/company with access rights to a water facility, shall make sure that rescue equipment is on site to a reasonable extent. Supervision of the rescue equipment shall be done regularly to make sure the equipment is in good shape and meet required standards set by law. Public lifesaving equipment should be installed at all sites by the water, where many people are present. The risk of drowning is especially high for people working in or spending a lot of time in harbours. The need of equipment can be extra great at places with deep waters, especially if frequented by children and elders. Equipment is always necessary on bridges and walkways near water. Fixed ladders shall be positioned at maximum 50 meters from one another, and lifesaving posts at maximum 200 meters from one another. Where many people reside, the distance between ladders can preferably be shortened to 25 meters for extra safety. All equipment shall be positioned in highly visible places, and in such manner that there’s no doubt what it’s intended for. For an even safer harbour, combine fire extinguishing- and lifesaving equipment on the same position. Please see RGS/SLS publication ”Safe Harbour” on how to contribute to a safe harbour. Lifesaving posts shall be positioned within 200 meters of one another. The equipment shall consist of rescue ladder (with hitch hooks for quays/bridges) that reaches one meter below water level at all times, life buoy and rescue hook. Fixed ladders or similar shall be positioned within - at least - 50 meters of one another and shall be marked adequately so that they’re easily visible from the water. On adequate places in the harbour, rescue rafts or -boat shall be positioned. 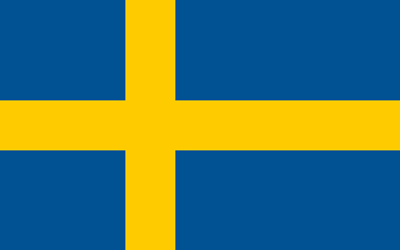 All equipment shall be placed strategically to facilitate use and visibility of the rescue raft, according to the Swedish Work Environment Authority. If a distressed person can be swept away from land to a distance where the distressed no longer can be reached with a lifebuoy or a rescue hook, that location qualifies as particularly risky and in need of a rescue raft or -boat. The rescue raft shall be designed for life saving purposes. It should be easy to use without any pre-existing knowledge of lifesaving, unlocked and placed in such a way that it can be used fast and easy. The rescue raft shall be placed in especially risky places according to SRVFS 2007:5. Such locations also exist in residential areas, such as e.g. public walkways close to the water. For even safer quays, combine fire extinguishing- and lifesaving equipment on the same position. For even safer canals and canal locks, combine fire extinguishing- and lifesaving equipment on the same position. According to Swedish law, a beach is defined as a public place where arrangements have been made to encourage swimming, such as piers, ladders, public restrooms, parking opportunities or sunbathing options. Exceptions are made for places that are part of private property or not accessible to the public. According to Swedish law, natural beaches and swimming areas next to lakes or rivers, without any arrangements to encourage swimming, is not included in the definition of beaches. Therefor every place with swimming opportunities is not required by law to provide rescue equipment. A beach with bridges, which is not set on private property and not used by a larger amount of people, is however included in the definition. Public lifesaving equipment should be installed at all sites by the water, where many people are present. Lifesaving posts shall be installed within 100 meters of one another. All equipment shall be installed highly visible and in such a manner that there’s no doubt what it’s intended for.